I previously talked about ownership of rental properties. A lot of the single family home rentals are owned by individuals and most large complexes are owned by some sort of business entity. 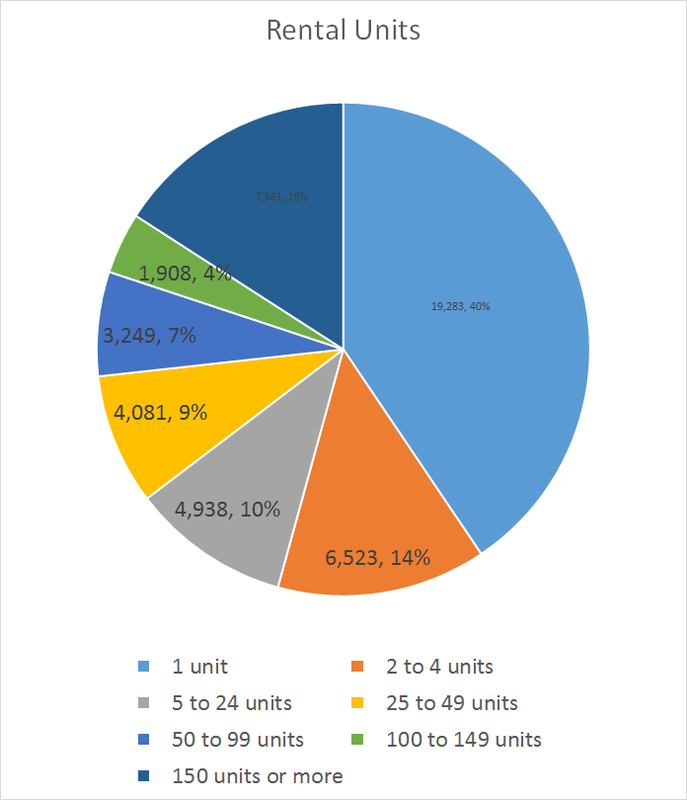 I decided to look at how the rental housing in the US is made up as far as the size of the rental units. Do most people live in large complexes, single homes or duplexes or a mixture? A large % of rentals at 40% are single family homes. The majority of rental units, 54%, are in 1-4 unit buildings. 20% of rental units are in large buildings and complexes of 100 units or more. --This article may contain referral links which pay this site a commission for purchases made at the sites.